The world’s most versatile cable termination tool, the RIDGID® RE 6, just got better with the addition of the RIDGID LR-60B Latching Round Die Crimp Head. The new head uses color coded 6 ton U-style dies to crimp lugs and splices from #8AWG up to 600 Kcmil (MCM) copper and 350 Kcmil (MCM) aluminum in five seconds, and is classified to UL 1976, making it an ideal choice for electricians. The LR-60B has a slim, compact design with 360-degree head rotation that allows for access and maneuverability in tight spaces. 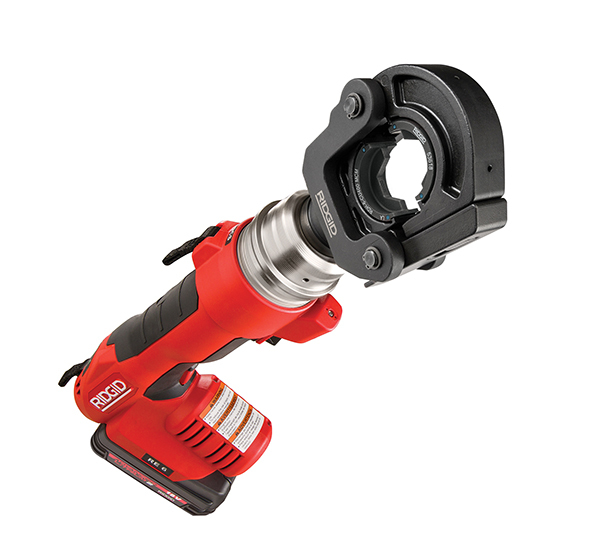 Crimp dies quickly snap into the head, don’t require a push button or adapters to change dies, and have a quick release latching system for maximum efficiency. 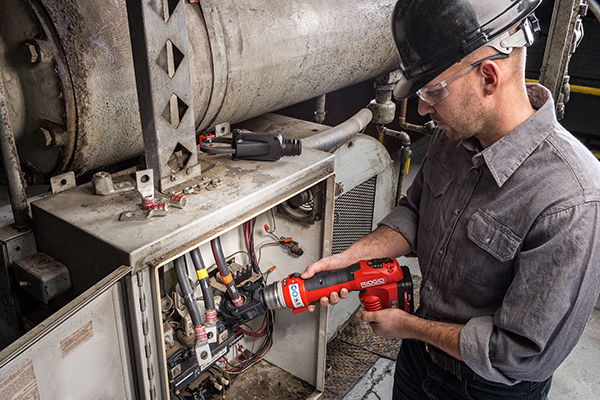 The RE 6 is a multifunctional battery-powered solution for cutting wires, crimping lugs and punching electrical boxes all with a single tool. It features a patented QuickChange System™ that incorporates a moveable collar that lets contractors quickly and easily switch between interchangeable heads. Along with the LR-60B, other heads include the SC-60C Scissor Cutter Head, the 4P-6 4PIN™ Dieless Crimp Head, the UC-60 Utility crimping head, and the Swiv-L-Punch Knockout Punch Head. For additional information about the LR-60B, the RE 6 Cable Termination Tool and other RIDGID products, please visit RIDGID.com or call toll-free: 1-800-769-7743. Also stay connected to the latest RIDGID news by following RIDGID on Facebook, Twitter, Instagram and LinkedIn.